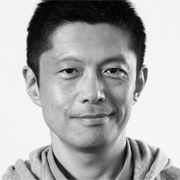 As Creative Director and part of the Corporate Strategy Divison of Dentsu in Japan, Kaz works as both a creative director and a trainer. Throughout his tenure at Dentsu, he has taken an initiative role in designing campaigns for various global and national clients such as Toyota, Daihatsu, Dunlop, Microsoft, Olympus, Coca-Cola, and Fuji Xerox. He also developed a training program called New School to develop a pool of creative directors for the next generation. After examining many training programs operating worldwide in this industry, he found that no training program was being offered to build versatile qualities as the new era's creative leaders, starting from personality and vision. His desire to help build a future generation of creatives is part of the reason Kaz joined the Berlin School of Creative Leadership. "I want to learn how to train creativity by experiencing the Berlin School's program. Since last year, I have led a project aiming at cultivating the next generation of creative directorsin our company. I want to bring back those training skills that I observe and learn to further develop internal training within our company." Kaz has been with Dentsu since 1988, working as a copywriter and Creative Director. In 2004, he was invited to Leo Burnett Worldwide, Chicago, for a management exchange program. Taking an advantage of studying and working in various cultures, he has developed a number of internal/external creative training programs. Also he has sat on juries for the Clio Awards, Asia Pacific Advertising Festival and the China International Advertising Festival. Kaz has a degree in Psychology from the University of Tokyo and a Masters in Management from Stanford Graduate School of Business.